Women of all ages to move forward in God’s purpose for their lives. Renewed Ladies Ministry is committed to unifying and strengthening our women and equipping them to be dynamic women of power and purpose. We are moving forward in faith and purpose. Discovering and using our unique individual gifts, to propel this Gospel to the world. This ministry is to help mentor, guide and encourage young women as they grow into wives and mothers. God called the elder women, in Titus 2, to train the younger women. Women of Faith, who have already journeyed through seasons of ministry, marriage and child rearing- mentoring women who may just be entering these seasons of life. 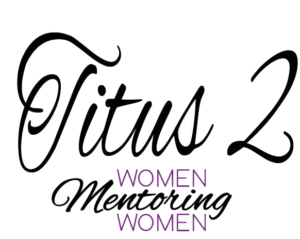 It is my hope, that Titus2Ministries will not only help guide and direct young women in their home life, but also their spiritual walk, as we learn to navigate our homes and ministries. We are moving forward and bridging the gap between the elder women of the church and a new generation of dynamic women. When we walk through life’s seasons in unity, we are unstoppable.